The 80s, in many respects, wasn't Elton John's finest decade, but amongst some of the pedestrian B-sides, there is a plentiful amount of stellar songs from his 80s catalogue that you simply have to listen to; some of which can be found on Breaking Hearts. Breaking Hearts maintained John's classic era band lineup, just as Too Low For Zero did. Without a doubt, there is a level of musicality that feels familiar, harking back to John's 70s era, validating just how important a band can be to the sound of an artist. Yes, John has always been a solo act, with a backing band, but Elton John really could have been an all-inclusive band name, in a similar manner as Alice Cooper presented himself in the early 70s. While it’s understandable that these leading men wanted to branch out and achieve a level of creative freedom, not normally associated with a band lineup, both artists are renowned for their early albums that have stood the test of time and are now considered classics. One should then question if the band dynamic is such a bad thing. Although, don't suggest that to Rob Zombie as he still laments his period as the lead man for White Zombie. Call me sentimental but I like original lineups. It’s subsequently a shame that Breaking Hearts would be the final Elton John album to include the original band lineup. Yes, nothing lasts forever, but while it did, their collaborative efforts produced some of the greatest songs ever recorded. Restless isn’t a bad song to start the album with. The groove is there, and that electric guitar draws you in, but it isn’t spectacular, sounding as though it was recorded against a click track. It simply sounds as though the band was going through the motions with this song, rather than jamming and improvising. A solid tune, but a missed opportunity. Slow Down Georgie (She’s Poison) sounds like manufactured pop music. It isn’t necessarily bad, but it hardly shows off the songwriting talent of John and Bernie Taupin, not to mention the original band that collectively brought us so many masterpieces. Who Wears These Shoes? is a little more fun than the preceding tracks, with a beat and lyrical hook that will see you toe-tapping, head-bopping, and singing along. Breaking Hearts (Ain't What It Used To Be) is a beautiful ballad. Li’l ‘Frigerator gives the listener a jolt, especially following such a relaxing ballad. Plus, that entry is just weird – likely trying to separate itself from Breaking Hearts (Ain't What It Used To Be). Regardless, once Li'l 'Frigerator gets going, it's a fun and thoroughly enjoyable song. Passengers is brilliant. I have always loved it, ever since hearing it for the first time on John’s The Very Best Of compilation. It's quirky in places but is so much fun from the very first note. I do consider it one of John's greatest recordings. In Neon is a lovely song and one which bemuses me as I ponder how a song this good is not more prominent in John's catalogue. Burning Buildings blows my mind. It is that good! An absolutely sensational song that has gone largely unacknowledged over the years. I know John already has so many hits, he is an absolute legend, but Burning Buildings is just as good, if not better than many of the fan favourites. Did He Shoot Her? is a thoroughly enjoyable pop/rock tune. It was never going to win any awards, but Breaking Hearts wouldn't be the same without it. Sad Songs (Say So Much) is, as l’ve said before, a groovy song that isn't sad at all. It’s also a fantastic way to close Breaking Hearts and encourages me to listen to the album again and stay within John's catalogue. Overall, Breaking Hearts is a solid release and one of John's best albums from the 80s. While the album was remastered in 2003, the version on Apple Music isn't specific, therefore making me wonder if it isn't simply the original CD mastering. I say that because sonically it’s a little flat while sounding somewhat concealed. Interestingly, however, the iTunes edition of Breaking Hearts is listed as remastered. It’s intriguing and I would love to know if they are different versions. Regardless, it isn't overly detrimental to the enjoyment of the album, but when you've heard the hits so many times, you know how they should sound. Unfortunately, Breaking Hearts is not available on TIDAL Hi-Fi, so I'm unable to compare and offer any further opinions on the exact mastering used. 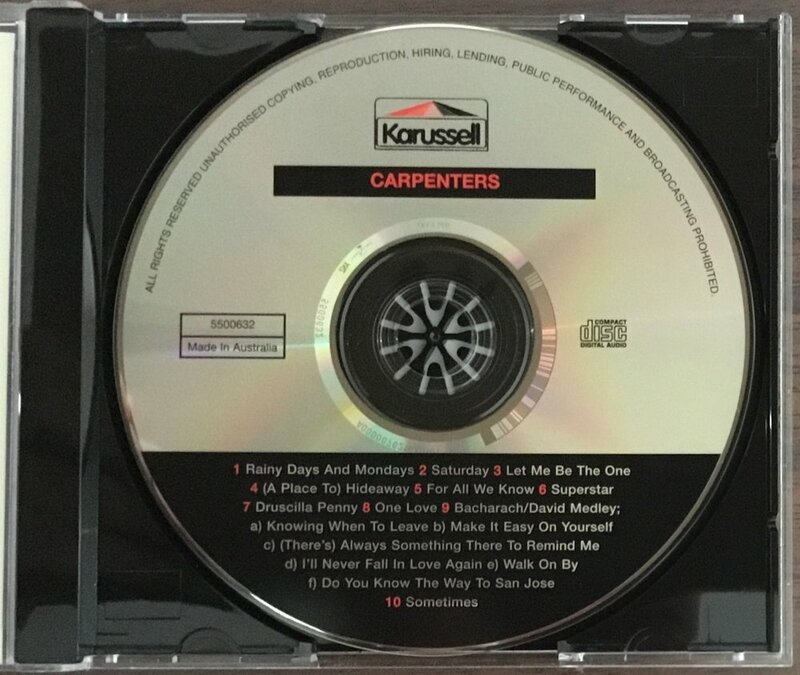 What I can say with certainty, however, is that Breaking Hearts is not Mastered for iTunes, therefore making it more likely that the Apple Music edition may be sourced from the original CD mastering. Despite this, it’s still thoroughly enjoyable to listen to for this music-first audiophile. Breaking Hearts is available on CD and iTunes. If you prefer streaming, Breaking Hearts is available on Apple Music and Spotify. Throughout the 90s, Mariah Carey’s music was regularly played in my home as I was captivated by Music Box and Daydream, along with Carey’s earlier recordings that I would hear on the radio. I was also a frequent listener of Carey's first Christmas album, Merry Christmas, during the holiday season of course. Yes, longtime readers would undoubtedly remember my dislike of Christmas music, as I seem to reference it every chance I get, yet there was a period in time when this music was important to me. It no longer is, but I don't have any regrets listening to it at the time. Nevertheless, following Daydream, I found myself no longer connecting with Carey's music. Yes, she became increasingly a Diva, but she also shifted styles upon each new album; in my opinion, less successfully than Madonna has done over the years. Mind-blowing ballads such as Hero and Endless Love have become increasingly absent in Carey’s later releases and it's a shame from my perspective as she had the capacity to go head to head with the likes of Barbara Streisand and Celine Dion, but she chose a different creative path. Hopefully, it won’t be too long before she returns to her roots as her vocal range is absolutely incredible and classic ballads will always outlive the current pop trends. Diva or not, Carey has an incredible back catalogue and as soon as #1 To Infinity was released on vinyl, I had to have it. It's important to note that there are different versions of this compilation; a North American release (the one which this review is based upon), an International version, and a Japanese edition. However, the vinyl edition has only ever featured the North American tracking and subsequently, if you want to enjoy the other editions, from other regions, you’ll have to import a CD as streaming services localise the album to your particular region. The vinyl release is simply stunning, not only to listen to but to enjoy as a physical counterpart to the music. Presented in a heavy duty gatefold, you get the feeling that much care and thought was put into this production. As you open the gatefold, there is a short message to the fans, from Mariah, which is a nice touch. Carey also pens the inner sleeves, describing a little background of each song prior to the reprinting of the lyrics and production information. It’s wonderful to see this attention to detail as so many career perspective releases are thrown together as nothing more than a sales opportunity by the record label and often without the input of the artist. Turning our attention to the record cover, I’m not a fan of it. I much prefer the photograph on the rear of the vinyl release as it encapsulates Carey’s innocent era as well as her more provocative era. That said, one can’t argue that the cover is striking and stands out from other records, therefore ensuring it isn’t missed on the shelves of your local record store. Each record comes in a printed inner-sleeve and while the photographs detail much of Carey’s career, I find it interesting that the selected photographs somewhat conclude with Carey’s Butterfly era, rather than proceeding through to the compilation’s release in 2015. Nevertheless, the selected photographs are fantastic and are a joy to look at while listening to the record. Vision of Love is the perfect song to commence the compilation on. While I was never fortunate enough to own Carey's self-titled debut album, it was impossible to go for any length of time without hearing Carey's soaring vocals on the radio. It's the kind of song, as many of Carey's classics are, that create the dreaded earworm. Of course, in this case, it’s a song that I'm happy to allow my subconscious to play over and over again as if it were a broken record. Love Takes Time is a beautiful song and I truly hope Carey will return to her roots, in the future, where her vocal is crystal-clear and front and center. We already have more than enough manufactured and overproduced music. I want these power ballads. Exceptional! Someday (MTV Unplugged) is a great performance. I would, however, have preferred them to edit the track down to the drumstick count in as the spoken word introduction is cheesy. Carey would probably hate this, but the backing vocalists make this live performance. It’s also a great mix and I don't know about you, but I’ve yet to come across a substandard MTV Unplugged performance, by any artist. While I do question the inclusion of a live track on a greatest hits compilation, Carey explains in the liner notes that she wasn’t completely satisfied with the overproduced version of the studio recording, whereas she found this version more appealing. After comparing both, she’s got a point. The original is substandard when compared to the MTV Unplugged performance. It’s actually difficult to listen to after the live version. I Don’t Wanna Cry is another exceptional song from Carey's debut album. So well recorded, mixed, and mastered. It’s an incredibly musical song that encourages one to sit back, close their eyes, and turn up the volume. Emotions has a great beat that compels you to move your body. It’s a little campy, but an absolute classic. I'll Be There (Feat. Trey Lorenz) is an incredible cover, but I find Carey sings it too similar to the Jackson 5 original, rather than making it her own. Perhaps it was due to the last minute plan to record it for the MTV Unplugged performance that caused Carey to approach the song in this manner. Of course, the similar nature of her version could have been as a direct result of her admiration for the Jackson 5. Regardless, she nails it! Dreamlover is a great pop song and god only knows how many times I played this song in the 90s, as Music Box was spun repeatedly. It isn't Carey's greatest song, that title goes to Hero, but it’s not far behind and will arguably be present on every Carey career perspective album that will see the light of day. Hero is the definitive Mariah Carey song. While it has been played ad nauseam, it’s still her greatest recording and I don’t believe she'll ever top it. Fantasy (Bad Boy Fantasy Feat. O.D.B) is an interesting choice as I've always enjoyed the original studio release, but I must say this remix is compelling and has grown on me the more I have played it. That said, I'm not sure I agree with remixes appearing on compilations. Neil Sedaka's The Very Best Of was somewhat ruined when some of his greatest songs appeared in a medley format. Thankfully I like this version of Fantasy as much as the original album version. One Sweet Day (Mariah Carey & Boyz II Men) is a beautiful song. Both Carey and Boyz II Men were at their creative peaks when this song was recorded and it shows. Always Be My Baby has a sensational intro, and while I enjoy the song, I find the verses to be pedestrian. Thankfully the chorus kicks this song into high gear. That said, I'm not sure if this song is compilation worthy. It's good, but is it great? Honey isn't a bad song, but it’s overproduced and while it isn't dated, give it another couple of decades and the sonic signature will have aged quite badly. My All is a beautiful ballad and is truly worthy of inclusion on this career perspective compilation. Carey really needs to focus on this style of song, in my opinion. In this category, she has very few peers. Heartbreaker (Feat. Jay-Z) is fantastic. I don't know about you, but it gets me head-bopping and toe-tapping as I turn the volume up and sing along. Jay-Z really is the spit and polish on this song. His contribution isn't as prominent as I'd like, but it's arguably perfect. Thank God I Found You (Feat. Joe & 98 Degrees) is a lovely ballad, although I find the tempo to be a little too slow, not dissimilar to the audible slow down on a cassette walkman just as the batteries were beginning to fail. We Belong Together is a solid pop tune, but I wonder, again, if this song is worthy of a career perspective album. Don't Forget About Us is in a similar category to We Belong Together. It's good, but perhaps not great. Touch My Body is one of Carey's newer songs that I truly enjoy. A great song with a great beat. Infinity is, of course, the only new song to appear on this career perspective release. It isn’t bad and fits in well with the other tracks on the compilation. That said, I feel it’s overproduced and Carey's vocal tracking could have been stronger as her vocal range isn't well represented on this song. Like many greatest hit albums, length is an issue and I find after the 79-minute duration has elapsed, I'm ready to listen to something else. That said, while listening to #1 To Infinity, I thoroughly enjoy it and don’t for a moment regret picking it up on vinyl. The song choice for the North American edition is well-considered, but I do miss Without You and that incredible duet with Luther Vandross; Endless Love. Both are included on the International release of the album. At least we didn't get the campy All I Want For Christmas Is You, although it is included on the Japanese edition if you’re a fan of that song. Sonically, the vinyl pressing is full bodied with a warmth that will appeal to analogue aficionados. If you’re interested in picking up the vinyl release, a download code is also included and the mastering, while not confirmed, sounds identical to the vinyl release, minor the unique analogue sound of course. Overall, the pressing is very quiet, with almost no surface noise, ensuring headphone listening is enjoyable. It’s truly worth owning for fans of Mariah Carey’s music. #1 To Infinity is available on Vinyl, CD, the TIDAL Store (16/44.1kHz FLAC), and iTunes. If you prefer streaming #1 To Infinity is available on TIDAL Hi-Fiand Apple Music.